After school we try and go and into the garden as much as the weather will let us. Sometimes just for half an hour, but the girls love to have a bit of a play before dinner. 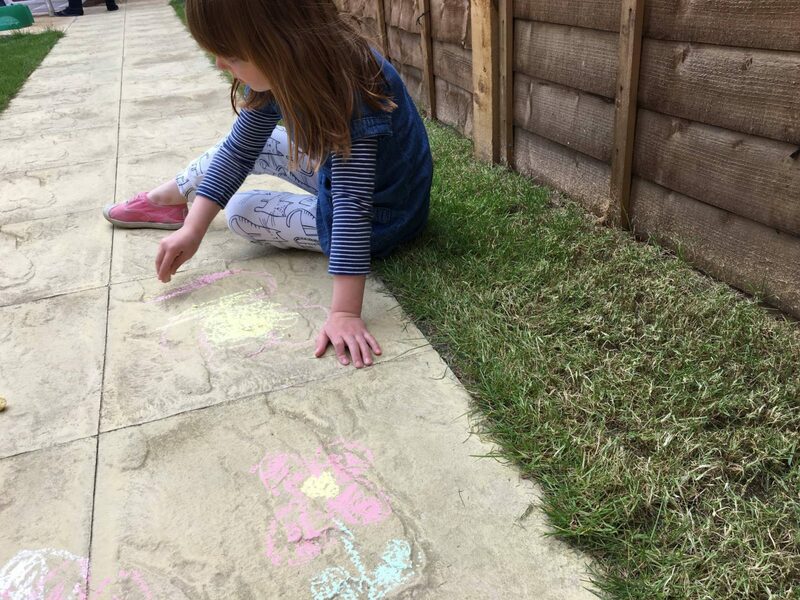 At the moment when they are not playing in their playhouse they are drawing with the chalk on the path. 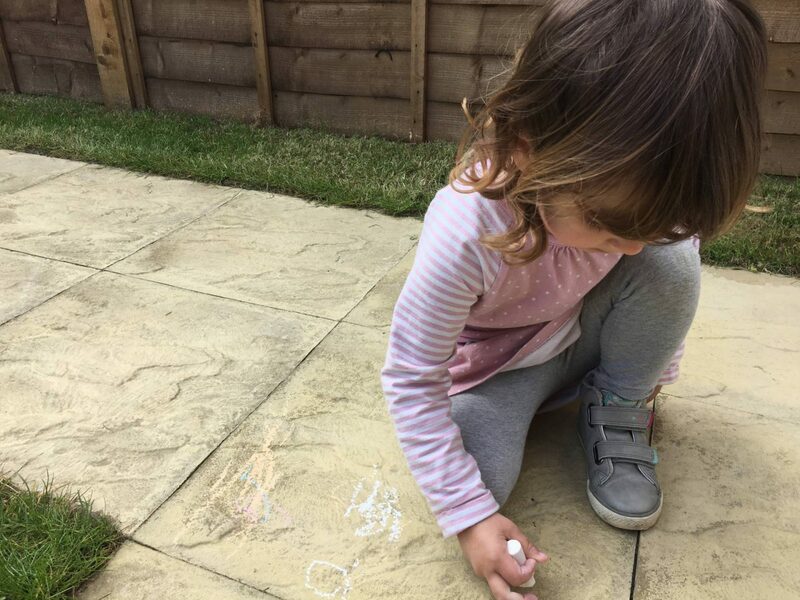 I only let them use the chalk on the path, mean mummy, but they have so much fun. Such a simple thing and the best bit the rain (which comes a lot) washes it all away. Alice and I will draw a hopscotch too and it brings back so many memories from my own childhood. Chalk on the path is so much fun! And it keeps my oldest son from drawing all over the house!